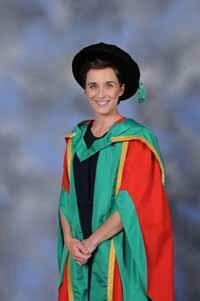 Honorary Degree of Doctor of Arts in recognition of her significant contribution to the acting profession and to charitable support in Nottingham. Born in Wollaton, Nottingham, Vicky attended her local Fernwood Comprehensive School, and the city’s Central Television Workshop where she was able to build her acting skills. A key influence is Midlands film-maker Shane Meadows. He cast Vicky when she was 15 in A Room for Romeo Brass and, most notably, as the tough but deeply-troubled Lol in his This Is England trilogy, first on film, then in two TV follow-ups which earned Vicky a Best Actress BAFTA. Other TV roles include Det Con Kate Fleming in Line of Duty and a tabloid reporter in the first series of Broadchurch. A passionate supporter of local causes, she has launched and taken part in the Alzheimer's Society Nottingham Memory Walk, raising money to fight dementia.